In West Texas on Friday, Blue Origin launched and brought back a suborbital rocket to Earth for the second time. The New Shepard Rocket and Capsule was developed to take six passengers to space. This company is owned by Amazon founder, Jeff Bezos. This was the same rocket which they launched 2 months ago. Last month, Elon Musk’s Space X successfully set off its rocket on a satellite-delivery mission and got it back on Earth. 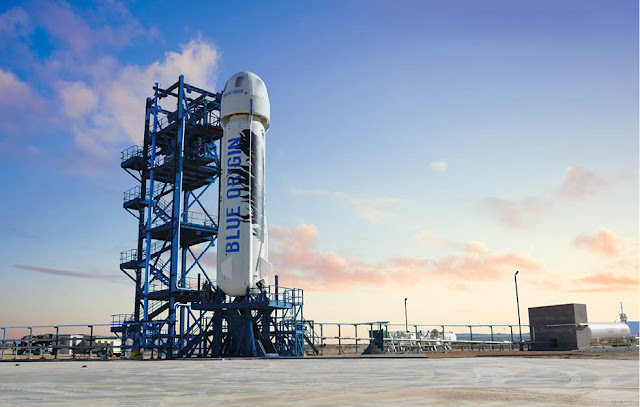 Space X and Blue Origin are among the few companies that are manufacturing rockets that can land back to Earth so that they can be flown again. This will curtail the expenses to a certain level. Bezos told that at this point of time Blue Origin is aviating suborbital rockets that are not fast enough to orbit around Earth. The company is functioning to manufacture more powerful rocket engines, while the testing is scheduled to commence this year.